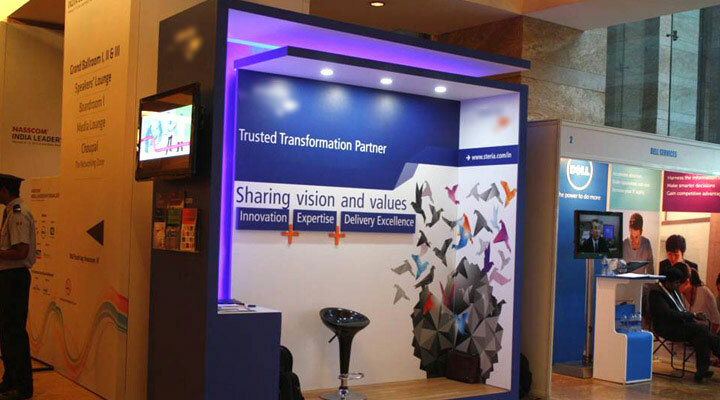 The booth was conceptualized to introduce Steria’s new identity of a ‘trusted transformation partner’. 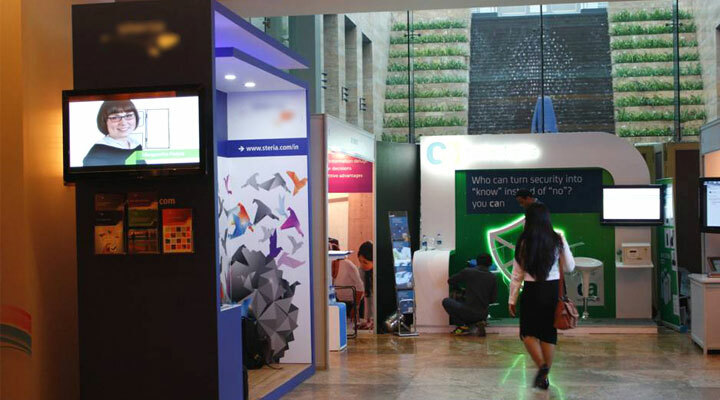 To exhibit the same, we designed a booth called, Metamorphosis – the magical energy of transformation. The booth was designed to be a dual layered structure to lay emphasis on the feeling of an ongoing process of building and transformation. The colourful birds, flying freely out of a neutral, uncoloured body, showcase the intense impact of transformation. 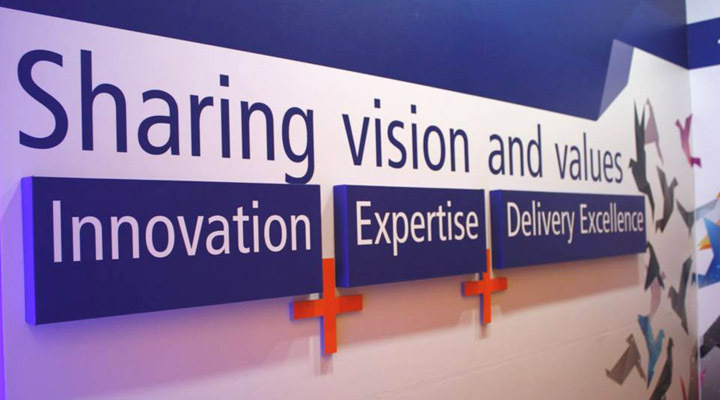 Another aspect that this image symbolises, is the outcome of a process of transformation – independence!